The Dairy Man is one of my blog’s most avid readers. He also takes personal responsibility for the content. In that vein, DM is appalled that I haven’t talked about corn planting yet. I was so busy thinking about friends and dreams—silly me—that I forgot to mention that we just wrapped up one of the biggest jobs of the year! Consider me repentant. So. Let me proclaim this from the mountaintops. 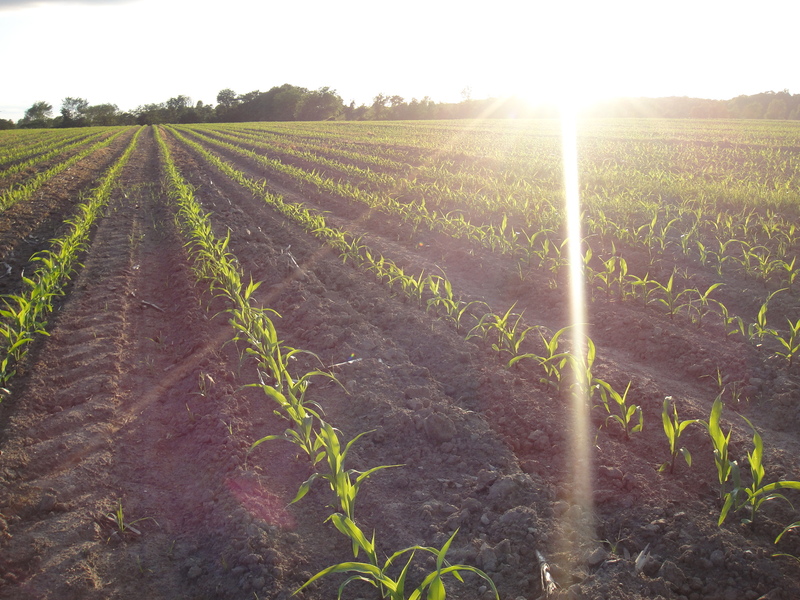 As of three weeks ago, OUR CORN IS IN! For you city folk, this means that our yearly crop of cow food is well underway. Every inch of the green stuff will ultimately be harvested for corn silage in the fall. It was a lonely few weeks, but I’m not a newbie anymore. I knew it would end … eventually. This year, in order to speed up the way we prepare the soil, the Dairy Man went from disking to strip-tilling. My apologies to those who googled “strip teasing,” and found this post. If you’re a farming greenhorn like me, you’ll need a definition of tilling before we talk about stripping. 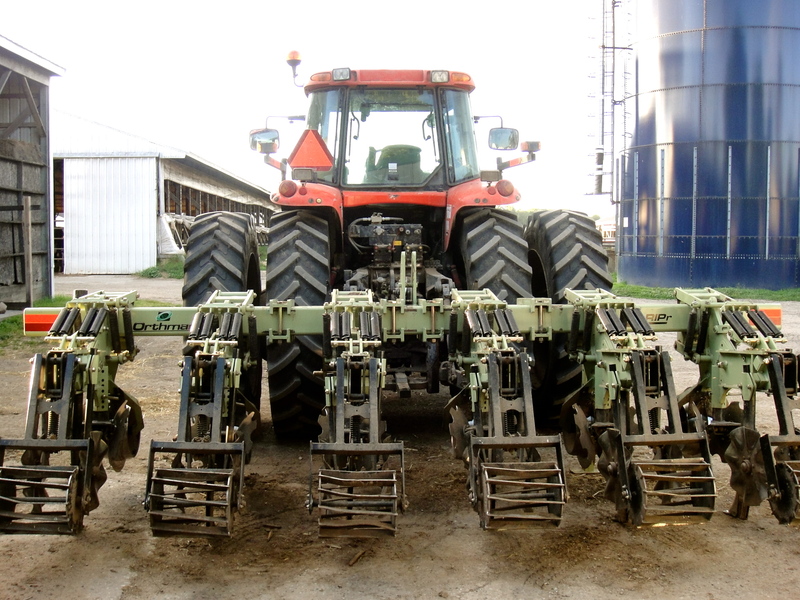 Tillage is the preparation of soil for planting. This process is implemented by machines agitating the dirt by digging, stirring, and overturning. 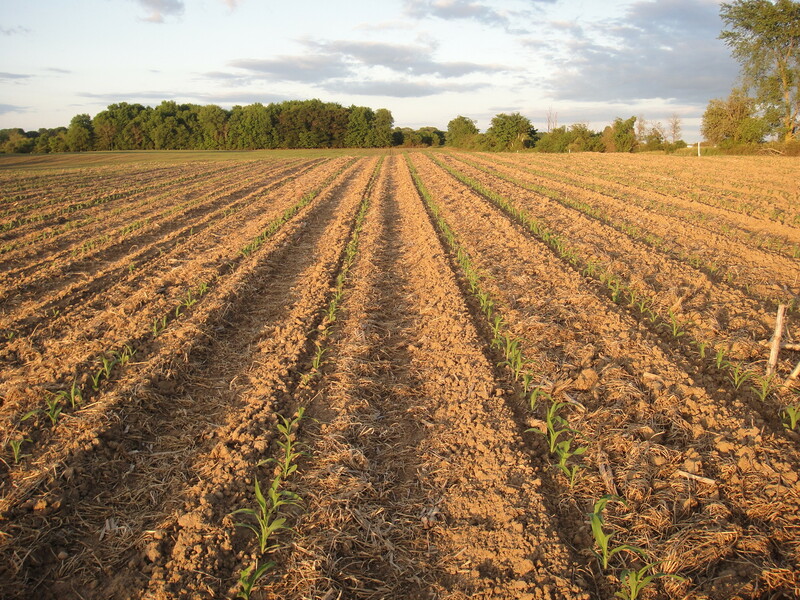 Tillage dries out and turns the soil as well as creates an optimum seedbed for our corn babies. 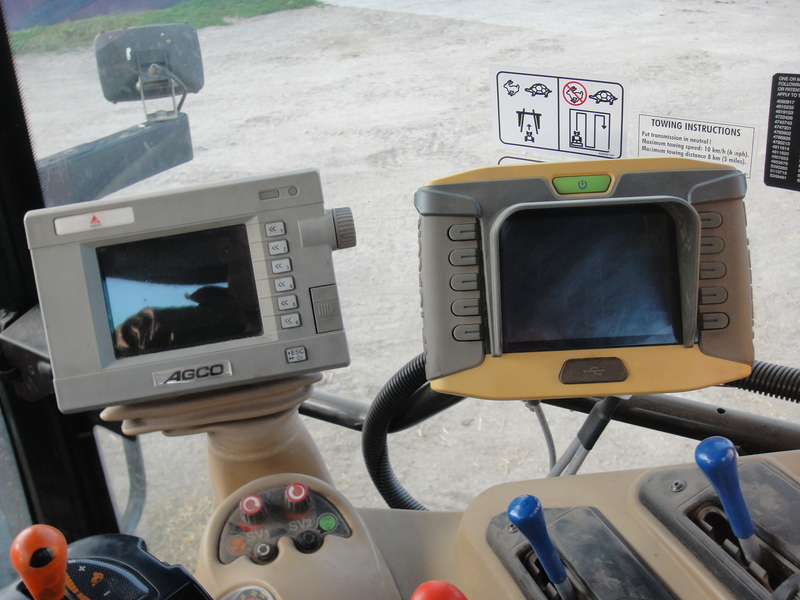 The Dairy Man’s tractor even has a GPS system with auto-steer to create straight lines and parallel strips for the rows. 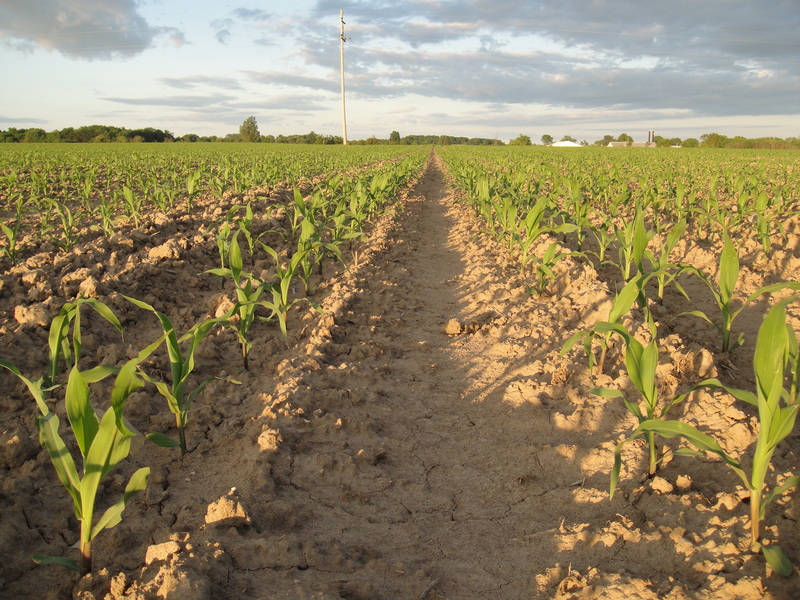 All corn rows are perfectly planted 30 inches apart. It certainly beats sitting out in the field with a yardstick, eh? Last year we tilled our fields with a chisel plow and a disk. This year, we switched to strip-tilling. The Dairy Man had three big reasons for the change. We have quite a bit of sandy and hilly ground. 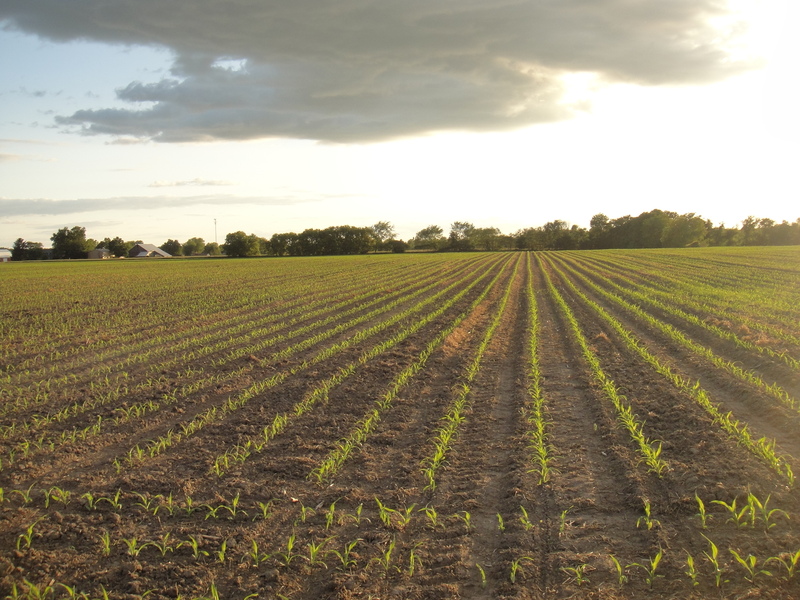 Strip-tilling helps to eliminate soil erosion (via wind or water) by only churning up strips or zones of soil, as opposed to the entire field. You can see the organic material left behind in the rows in the photo above. The ground holds more moisture because not all of the soil is turned over. It’s all about speed, baby. 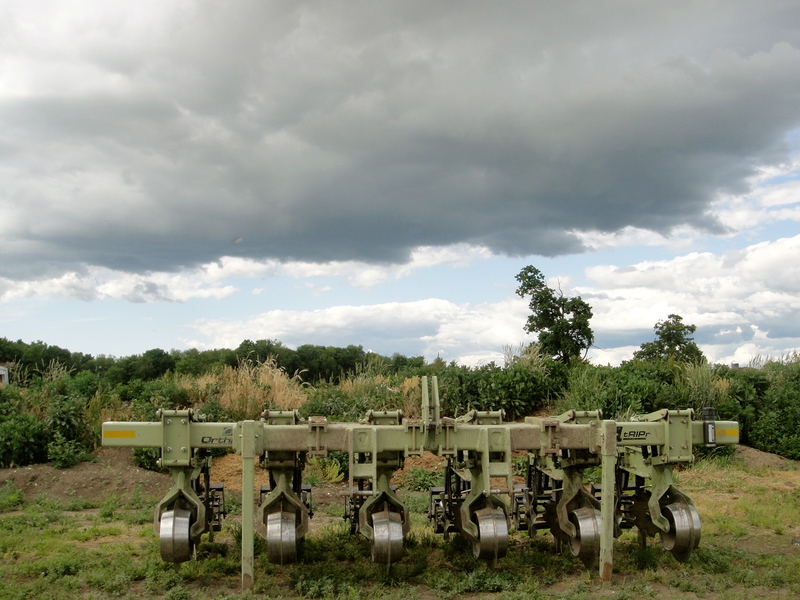 Strip-tilling is a one-pass system. Our chisel plow only tills 5 acres an hour (plus we still have to disk at 10 acres per hour). The strip-tiller tills 12 acres an hour. Boo-yah. Based on the size, scope, and soil of our two dairies, strip-tilling was the obvious choice this year. Well … obvious for the farmers. Obviously. Between you, me, and the kitchen sink, I didn’t notice that the machinery looked a little different this year until the DM pointed it out. Whoops. 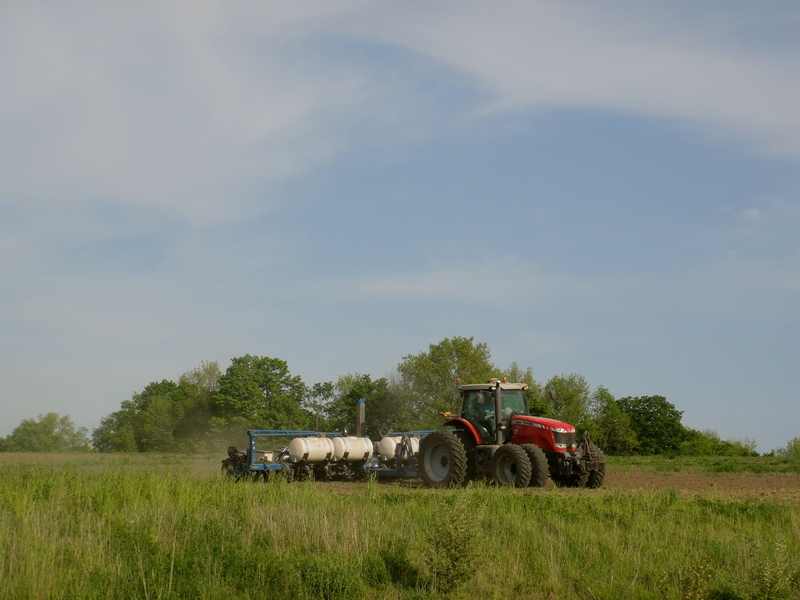 After the ground was tilled, the planter came through and spread its seed. And there you have it. It would be terrible to let the excitement of stripping (again, my apologies to the wayward googlers) pass me by. I expect to see 32,000,000 leafy corn stalks (32,000 seeds per acre x 1,000 acres) grow and mature in the coming weeks and months. The country is blooming and the Dairy Man couldn’t be happier. As for me, I’m enjoying the brief reprieve before another round of haying. Oof. I’d better order some more books. 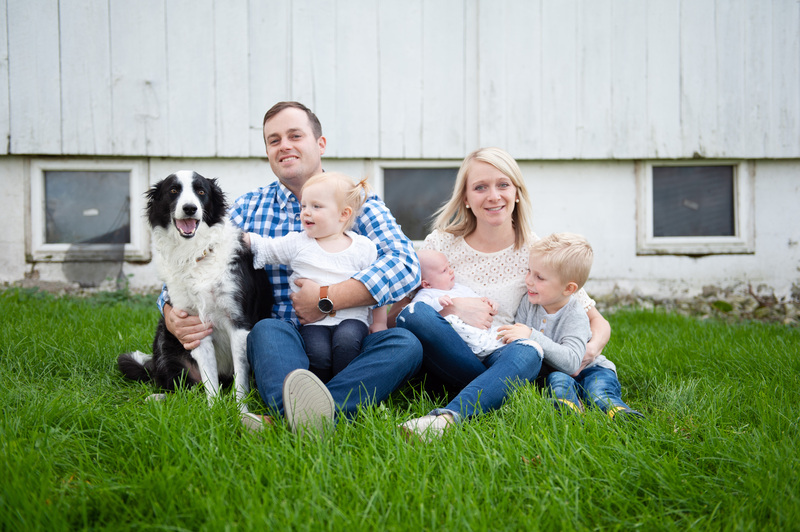 Farming 101…I learned so much!